Location! Location! Location! This one owner two story, in Arbor Ridge is right by Bondurant High School. 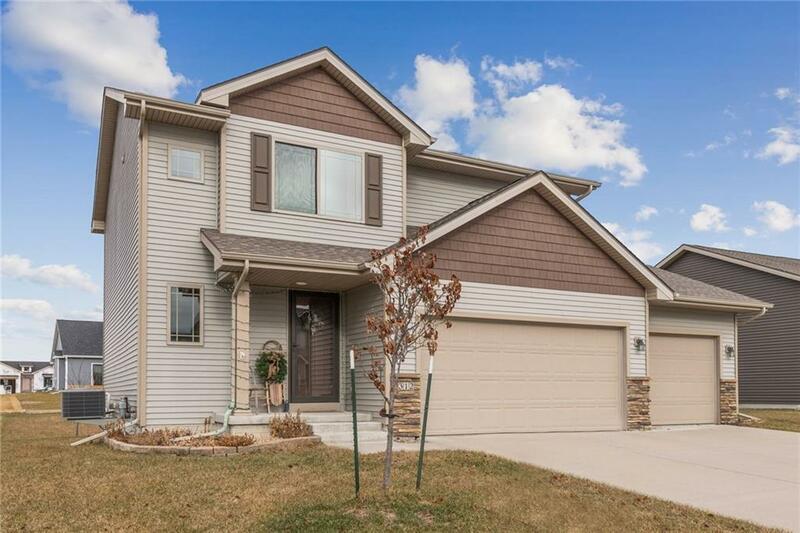 The well cared for home features a spacious eat-in kitchen with granite counters & breakfast bar complemented with stainless steel appliances. Sliders from the kitchen to the deck overlook the backyard. Large great room has fireplace with built in component shelf to keep everything organized. Lighted stairway leads up upstairs to find four generously sized bedrooms & 2 bath areas. Conveniently located 2nd floor laundry room makes chores easier. Large daylight lower level is stubbed for bath, perfect for future finish. Three car attached garage gives space for cars, tools & toys. This Energy Star home has been tested for efficiency. Ask about the USDA Financing, available for those who qualify. Welcome Home to Bondurant!